I never thought I’d see the day when I would open my fridge to get rice milk out…to put on my quinoa no less, but times, they are a changin’ and I must be open to trying such exotic and healthy things. It was a big day for me at Whole Foods this weekend as I spent a good while staring at all the different kinds of quinoa (finally settling on an organic, free trade kind that claims to be the “soul food of the Andes”) and then another 10 minutes or so staring at milk alternatives. Never having been a big cow’s milk drinker, besides having a little in my coffee, I thought I’d give one of the rice, almond, soy (you get the picture) varieties a try. On a recommendation, I picked up unsweetened rice milk, crossing my fingers that it wouldn’t be a waste of my $4. Rinsing the quinoa removes the bitter taste it sometimes has once it’s cooked. I gave it 2-3 rinses in cool water. 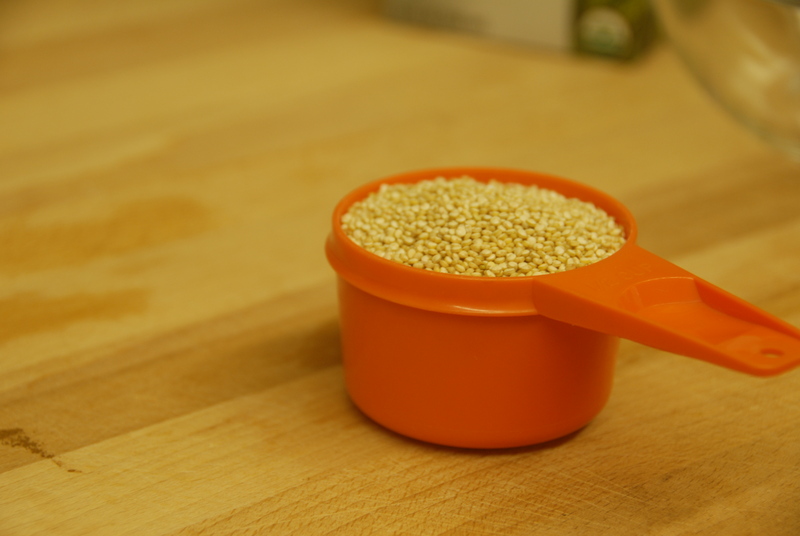 Place rinsed quinoa in a saucepan with the milk and water. Bring to a boil. Lower heat, bring to a simmer and cover. Cook for 15 minutes. Turn of the heat, let stand for 5 minutes. Stir in the spices and berries. Top with a little honey for sweetness and enjoy. Simple as that! I’m pretty excited about having this great oatmeal alternative for the cold months ahead. It’s quick and easy to prepare, pairs well with tons of different flavors AND healthy – this really is a super food! Oh, and in case you were wondering, I really enjoyed the rice milk! Lovely smooth texture and mild taste. I even added a little more to the cooked quinoa to loosen it up a bit. Who would have thought!? 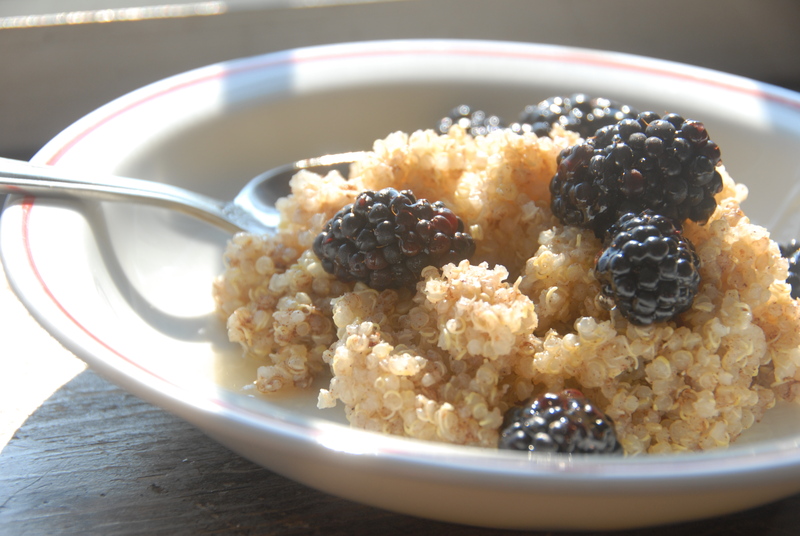 This entry was posted in Quinoa and tagged blackberries, breakfast, easy, honey, quick, quinoa, rice milk. Bookmark the permalink. nom nom. im going to try this this weekend!